I saw you removed an advertisement for Karatbars from your Facebook group. Is this because it’s a scam? Please tell me more because people are telling me about it saying I can make money from gold. Let’s start with some history. We first heard of Karatbars in 2014 when people approached us asking about the scheme. We contacted some of the local organisers and they told us that the scheme had been endorsed by BURS, the Department of Mines, the German Embassy and even by Consumer Watchdog. In fact, none of these things were true. 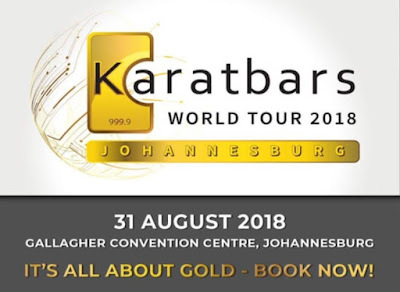 The people recruiting people into Karatbars promised riches from investing in gold even though back then the price of gold had been steadily dropping for a long time. Also, the amount of gold Karatbars was offering was tiny and the price they were charging for these tiny amounts was about 60% higher than the real gold price at the time. 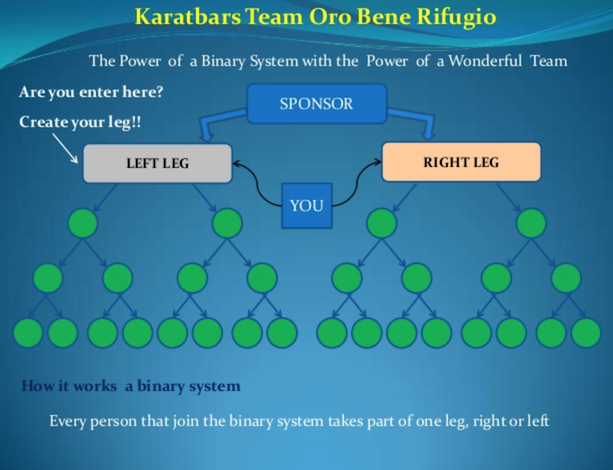 In fact, Karatbars was nothing more than a pyramid scheme exploiting public ignorance of the international gold market and the promise of making lots of money from recruiting other people. The authorities in Canada also started to take action against them and fairly quickly Karatbars seemed to disappear. I knew a few people lost some money by joining the scheme but it wasn’t as bad as some other pyramid schemes we’ve seen. But now they’re back. 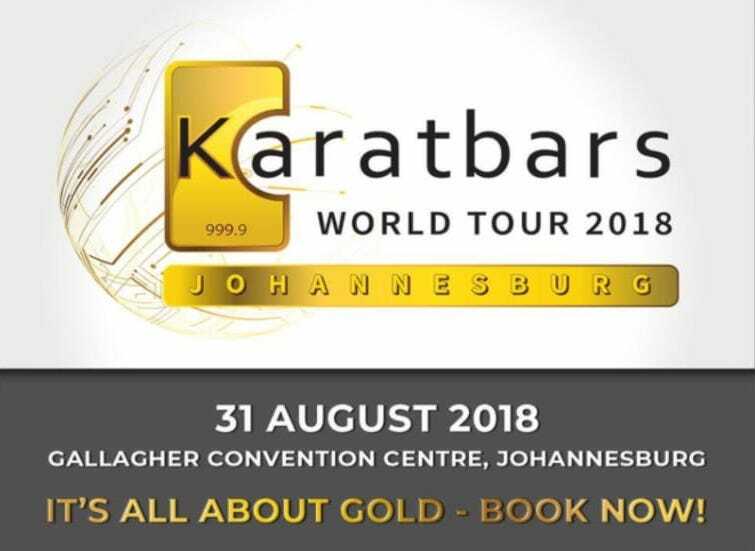 They advertisement you saw in the Consumer Watchdog Facebook group announced that Karatbars was back and hosting the “Karatbars World Tour” in Joburg this week. So, has anything changed? Are they still selling over-priced gold in tiny quantities? No, they’ve moved on. Now like all the other sophisticated scammers, they’re marketing a cryptocurrency they call the Karatgold Coin. They say that this is “a blockchain-based cryptocurrency” that is “specially designed to be used as a generally accepted electronic payment means for all who consider gold as a traditional, true, secure and value-stable medium”. In other words they want us to use it as money. But that’s going to be a challenge when the currency they talk about doesn’t actually exist. Yet again, Karatbars is based on lies and experience shows that liars can’t be trusted. If they approach you, please don’t get seduced by their sales pitch about gold and cryptocurrencies. It’s just more lies from a scheme with a history of lying. Is the courier company real? Hello, I want to know if this courier company from Nigeria exists, Fastway Courier Services. Someone said she sent me some parcels through it and I have to pay 2000 pula as the delivery fee as she didn't pay for it because she paid with a cheque and they don't accept cheques. They say I have to deposit the money on their FNB account. Please help me. No matter what these people say, regardless of how convincing or demanding they might be, please do NOT send them any money. This is undoubtedly a scam. Even though there seems to be some legitimate companies around the world calling themselves “Fastway Courier Services” this is certainly not one of them. Real courier companies don’t demand amounts like this. If there are duties or taxes to pay then the local tax authority will know about it. Unfortunately, we hear all the time from people who, like you, met someone on Facebook who eventually offers to send a parcel of goods, almost always promising that they include valuable items such as laptops, cellphones, jewellery and often cash as well. However, the truth is that the parcel doesn’t exist, the courier company that claims it needs to be paid by the recipient and even the friend on Facebook are all fake. None of them is real. In our experience the victim of these “romantic scams” is almost always a woman being scammed by a man but your case is one of the rare ones where the scammer is using a female profile to “seduce” a male victim. The Facebook profile used by this scammer is clearly targeted at men, showing pictures of a beautiful, curvaceous woman. What’s more, almost all of the Facebook friends of this profile are other men. Clearly they’re attracting a large pool of potential victims. It just shows how scammers adapt and do their best to exploit anyone’s weakness. Nobody is safe. The 2018 Consumer Watchdog Conference - Thanks!